God Can! is Alvin Slaughters third contemporary worship album by Integrity/Hosanna! Music. The album was recorded live at Upper Room Ministries in Dix Hills, New York, and released in 1996. On a much anticipated evening on Long Island, New York, 3,000 people came together from all around the tri-state area to worship God. Alvin Slaughter is a raw hide energy that packs a house. Alvin leads you through heartfelt worship, rejoicing and celebration while giving God the glory every second of it. 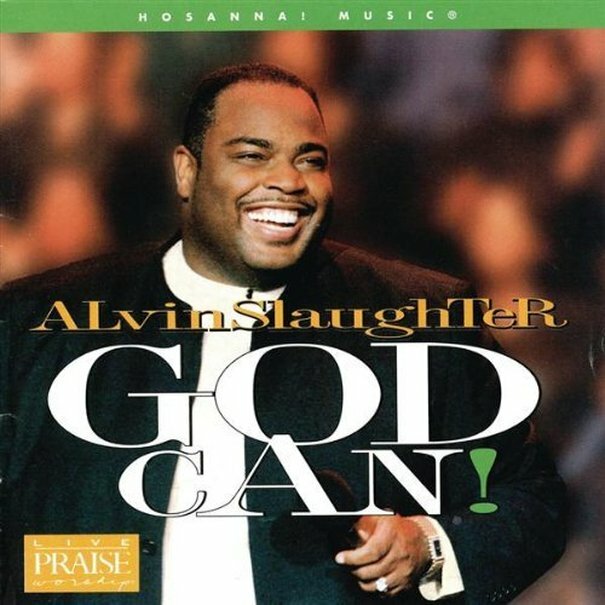 Alvin Slaughter is based out of New York City, where he was a member of the Brooklyn Tabernacle Choir until the early 1990’s when he was signed by Integrity Music and began his solo career. He has been nominated for several Dove Awards and has performed on the TBN television network. Joy Slaughter is his wife.